The Department of Basic Education (DBE)presented on their readiness for the Annual National Assessment and for the National Senior Certificate examinations. According to their plans, they were on track with preparations and the schools would all have their question papers delivered on time. They had taken a lot of action to reduce irregularities, including mitigating steps to avoid a repeat of the mass cheating incident of the 2014 examinations. Hearings were under way, and the Department intended to charge the teachers who were found to have assisted the learners, while the learners would be allowed to rewrite the exams. Stringent measures had been put in place to ensure the standard of the papers was appropriate, including pre-writing and feedback exercises. The Department assured the Committee that security at the storage facilities for the question papers was at an all time high. 2015 had proven to be the DBE’s most challenging year, with the highest number of candidates for assessments, as well as a lot of intense monitoring of provincial, district and school level activities. The Members’ main concern was with the progression policy. They were concerned that learners were being progressed to the next grade without absorbing the necessary knowledge from the previous year. They believed that schools were misusing the policy, and that the learners were not being adequately supported, especially in the area of psycho-social support. The Department conceded to their concerns, and said that the policy of progressing learners was an international practice, but the difference with other countries was that they had good support systems in place. The improvement of support for progressed learners was being looked into, in collaboration with the Department of Health. The Committee also raised concerns about teacher training, the lack of teachers in the country and the quality of teachers that were being produced. Another issue was the reduced number of learners in the mathematics stream, which the Department said was because of a lack of teachers in the mathematics field. Computer science was another subject with low numbers, and this was attributed to the high costs of administering the subject. The Department had categorised schools into low, medium and high centres for the exams and would be managing each school differently according to its classification during exams. They had also made strides in ensuring the marking process was smooth. The markers were carefully selected through a stringent process, chief markers were well trained for monitoring and a post-marking analysis process had been put in place to ensure quality results. The Department assured the Committee that the core objective of the Department was to ensure that learners received a quality education. Ms A Lovemore (DA) presented a petition to the Committee, highlighting the plight of learners in the Graaff-Reinet area, who were suffering from a range of issues. These included a lack of special needs schools, a lack of teachers, and inadequate support or response from the district Department. The petition’s concerns were responded to by the Department, to the satisfaction of Ms Lovemore, but she said the ultimate decision lay in the hands of the Committee and the petitioners. The Chairperson opened the meeting by indicating some of the issues that the Committee would like to have covered during the presentation. She would like clarity on some of the media reports about the Annual National Assessment (ANA). The presentation should report the Department of Basic Education’s (DBE’s) preparedness for the National Senior Certificate (NSC) exams. The Committee had learnt of group cheating in the 2014 assessments and other issues -- especially from KwaZulu-Natal and the Eastern Cape -- and she wanted to know whether these matters had been resolved. The Committee would like assurance that such incidents would not recur this year. Another issue of concern from the Committee was the readiness of teachers and markers for marking scripts. Were the markers well trained and competency tested? The aim was to have credible results in the end. Mr Mathanzima Mweli, Director General: DBE, said that the Department had presented earlier in the year on the ANA and NSC, reflecting on the 2014 performance and looking at ways to improve areas of weaknesses. The issue of the ANA and the South African Democratic Teachers Union (SADTU) was being addressed. He was personally in contact with SADTU to secure a meeting as early as possible in order to make headway for the administration of the ANA without any problems. Dr Rufas Poliah, Chief Director for Public Examinations and Assessments: DBE, said the Department was cognisant of the issues arising from 2014. They had started in January to look at irregularities from 2014 and had put systems in place, making the Department confident of drastic reductions in irregularities in 2015. They were constantly reviewing their systems and looking at improving public examinations. The introduction of public examinations had set a national standard that regulated teaching and learning, and he had noted a significant improvement with the national examination systems. The Annual National Assessment (ANA) had faced criticism of playing only a diagnostic role, and through repetition over the last five years, the ANA was now able to measure trends and performances. Given that it was in its first five years, it made sense to administer it annually so it entrenched its position. This provided an opportunity to focus on particular problematic grades and not have to administer it annually in future. Currently, the policy was out for public comment and based on public comments, the Department would redesign and restructure the ANA accordingly. The challenges were being dealt with, particularly setting papers at an appropriate standard. Question papers were being benchmarked with international reputable bodies. With regard to marking, he said he would talk about the significant introductions into the system that were beginning to produce quality and standardisation across the 180 marking centres. Dr Poliah turned his focus to the National Senior Certificate. For 2015, the total enrolments were 801 688 candidates, meaning the Department would need more invigilators and markers. The provincial distribution of Grade 12 candidates showed that 20% of the full-time candidates were in KwaZulu-Natal and the four largest provinces (Gauteng, Limpopo, KwaZulu-Natal and Eastern Cape) had 70% of the candidates. There had been a significant increase in enrolments from 2011, and a 122 000 increase from 2014. However, there had been a decline in the part-time enrolments because of the introduction of the senior certificate exam that followed the same curriculum as the national senior certificate, so adult learners were opting for writing the senior certificate. The advantage was that it could be completed in one year and the candidate did not need to produce a school-based assessment history to apply. The policy on learner progression had been vigorously implemented from 2013. It simply stated that a learner should not spend more than four years in a phase. Learners who did not meet the pass requirements in a grade for two consecutive years, would be progressed. The number of progressed learners had been 85 857, which constituted 12.7% of the total candidates. The Department had come in for lot of criticism for this decision, but they believed it was the best solution, given the high drop-out rate. It was suitable, because schools had the phenomenon of culling, which contributed to the drop-out rate. The progression policy meant that the schooling system was able to retain more learners, hence adding to the increase in exam candidates. The Department was working on ensuring that learners who had been progressed were provided with the appropriate support. Dr Poliah said that the gender split was a 54% to 46% divide between females and males respectively. There had been a 40 000 increase in learners of mathematics. Information Technology needed to be given attention, as the numbers were extremely low. The aim for high quality examinations was based on four critical components: high quality question papers, controlled administration, high quality marking, and feedback and improvement. They all needed to be at the highest level of functionality for quality assurance. All question papers had been set and moderated, and had also been approved by Umalusi. Pre-writing had been introduced as a quality assurance control measure. This involved getting teachers who did not teach the subject to write the paper and from their feedback, the questions could be restructured where there were language or ambiguity issues. A fairness review was then conducted to ensure that biases and stereotypes were also addressed. Adaptation of the question papers for the blind, partially sighted and deaf students had been completed. Compiling Braille versions of question papers was in progress. Printing and packing of the question papers was on track, and security was at the highest level. The Department was currently doing audits of all storage and distribution facilities to ensure the provinces were complying with the security norms and standards. The administration of examinations had been given specific attention. In the past, a high level of trust had been put in the principals to administer credible examinations. Unfortunately, some of the schools had betrayed that trust. After auditing the schools, they were categorised into low, medium and high risk centres. The ranking would determine how each centre was managed. High risk centres would be administered by the provincial Department, medium risk centres would have resident monitors placed, and low risk centres would have roving monitors covering multiple centres to ensure there was no temptation to break protocol, to ensure highly credible exams. Dr Poliah went through the strides made regarding the marking process. The focus was on appointing competent markers. This did not imply that competency tests would ensure better markers, but that the most appropriate markers were appointed. There were a number of other criteria. For example, if the performance of the learners taught by the marker was below 50%, the marker was not appointed. The Department was conducting audits of applications across all provincial Departments to check that the experience and level was adequate. No teacher who had not taught Grade 12 would enter the exam room. The tolerance range had been introduced in 2014. Learners could apply for remarks. Those scripts would be marked by senior markers and would be compared to the original script. The tolerance level was the margin of difference between the original marker and the moderator, which should not exceed 3%. If more than 50% of a marker’s scripts exceed the tolerance range, the whole batch must be remarked. The authorisation of chief markers and internal moderators would depend on their compliance with the tolerance rate, and if this was exceeded after multiple opportunities, they would not be authorised to monitor markers. There was no evidence to suggest that competency tests resulted in a significant difference where there was remarking. Another control measure that had been introduced by the DBE was centralised marking. Centralised marking eliminated differences that occurred when marking was done across different provinces. In 2014, two subjects had been marked centrally in Pretoria. In 2015, four subjects would be marked centrally. Mpumalanga would be marking isiNdebele and siSwati, as they had the expertise. This too was a form of centralisation. Dr Poliah identified School Based Assessments (SBA) as the Department’s weakness. The Department was noting gradual improvements. They had completed audits of the SBA’s in all provinces in June to ensure a strong provincial base to support the SBA and get the desired outcomes. The DBE would continue with these moderating systems, and had appointed 80 national moderators to deploy in June and at the end of the year. Certain subjects required performance assessment tasks, and the Department would conduct external moderations in October. Dr Poliah pointed out 23 December 2015 as a date of interest to the Committee. This was when the Umalusi standardisation meeting would be held, and it was always good to have Committee Members present. Other notable dates were 5 January 2016, when the Minister would announce the results, and 6 January 2016, when the schools released the matric results. Detailed analysis of results would be made available. The analysis played a valuable diagnostic role. Annual reports were produced, not just of diagnostics, but the extent to which previous problems had been being attended to. The Department had adopted a zero tolerance attitude towards irregularities. They had a close working relationship with the National Joint Operations and Intelligence Structure (NATJOINTS) to eradicate problems. A national hotline would be announced soon and open to the public to report suspicious practices. Dr Poliah presented a progress chart. They had set 14 target indicators and were on track with the 14 indicators all at different stages. The ANA was scheduled for 15 to 18 September 2015 for Grades One to Nine in language and maths for the first time. This was a total of 8.6 million registered learners. Printing and packing was underway and by 11 September, all schools would have their question papers. To ensure a high quality national assessment, the Department had adopted a robust process to ensure they had the best service provider for administering and verifying the marking and results of the examinations. The tests were assessed, especially Grade 9, which was historically a problematic area. Adaptation for learners with special learning needs had been completed, including Braille tests. The Department had improved in administration over the last five years, and was hoping for 100% capturing of all learners going forward. Marking would be done by teachers at their schools and moderated before reports were issued to parents. Sample scripts of Grades 3, 6 and 9 of every class would be collected and brought to centres managed by the provincial departments and monitored by DBE. This ensured a check on the quality of marking was done. Participating Independent schools also wrote national assessments. Their examinations were independently moderated at centres managed by the Provincial Education Departments (PEDs), and the schools were invited to observe the marking process. All marks would be captured on information technology (IT) systems such as the South Africa School Administration and Management System (SA-SAMS), the Centralised Educational Management Information System (CEMIS) and others, and eventually uploaded onto the national General Education and Training (GET) system. Dr Poliah said the Minister would release the national report in December 2015 and a diagnostic report would be available in January 2016 so that teachers were able to plan and address the learning deficiencies as they prepared for the 2016 programme. The DBE had appointed a service provider for verification, where 125 schools per province would be independently administered, marked and reported on to build public confidence in ANA outcomes. The Department was taking challenges very seriously and they were being dealt with in a focused manner. Plans for the challenges included the standard of question papers, the quality of markers, and the quality of SBAs. A common paper would be set for Grades 10 and 11 for mathematics and physical science in an attempt to eliminate doubts about the standard of assessments, and serve as diagnostic tool for the areas of weakness. To deal with examination irregularities, a common invigilator manual had been used in training. Dr Poliah said the Department was ready for a successful 2015 ANA. In the case of NSC exams, he believed they had touched on the problem areas from previous years and would continue to strive towards credible assessments in this country. Mr L Ntshayisa (AIC) said in his days as a teacher, he had complained about learners being progressed, as these learners would fail. He wanted to check if learners who were allowed to progress had enough knowledge simply because they had repeated the grade. He asked what was being done to support them as the learner was being given more work, not having understood the requirements for the previous grade. He said the system had failed in the past. He questioned the requirement that teachers must have learners that achieved above 50% to qualify as markers. He asked if the Department had considered the conditions and support of the teachers that did not allow for a 50% pass rate. Perhaps the teachers were good but did not qualify due to a lack of support and poor conditions. Ms D van der Walt (DA) asked whether the 4 September deadline for the printing and distribution of question papers was going to be met. She also asked if the schools in Limpopo that were not opened would be classified as high risk centres if they were at all opened. Another example was the Laerskool Roodepoort, which was closed. She asked what would happen to learners that were supposed to write ANAs, but who were not in class at the moment. She was not comfortable with the fact that markers got a second chance to qualify for authorisation. She asked why the Department was not attracting markers who immediately qualified to be adequate markers. Ms H Boshoff (DA) asked the Department to substantiate the remark that there were systems in place to reduce irregularities. She also wanted to know how many of the full-time enrolled students passed their subjects. She was concerned about direct translations in the setting of question papers, where learners had no idea what the question was asking because it had been translated directly from another language. How secure were the schools in the Northern Cape where the question papers were being stored? What was it costing the DBE to categorise and manage the centres? She asked how many learners applied for remarking annually, as this would give an indication of the competency of the markers. How many schools had under-performed in the past and continued to under-perform, and what was the DBE doing to assist them? Lastly, she noted that not all schools had SA-SAMS and asked how the DBE would capture data at these schools if CEMIS was used. Ms C Majeke (UDM) said that the parents of children who were progressed were worried about their children. The children were enthusiastic to learn, but did not grasp the content. What could be done with these children, who might not be academic but could be artisan pupils? Typically, once they got to Grades 9 and 10 they dropped out with no skills. She suggested introducing artisan work at an early age to assist children who might not have the academic intelligence to progress. The school should assess what the child would like to be, and streamline them towards a skill and move them away from the classroom setup. She asked if the education departments could look jointly into the kind of education being given in the country. For instance, the country produced a lot of engineers but no car had been designed by a South African. The type of education provided needed to complement the industry. Ms J Basson (ANC) wanted to know how far the DBE had progressed with clearing the massive irregularities experienced in 2014. She also requested an update of the learners in Kuruman who had been affected by the protests, and whether they had had an opportunity to write their examinations. Ms A Lovemore (DA) asked about the status of the 5% language compensation for non-English speaking learners that had been reduced by 0.5% the previous year. While attending both the Catholic Parliamentary Liaison Office round table and the Human Rights Watch round table on inclusive education, school principals and teachers had complained that they were being asked to progress children who were slower learners, who then wrote matric examinations and affected the performance results of the school. Schools were encouraged to take on learners with mild intellectual impairments, but did not want to because they would be judged as under-performing schools. She asked how the Department would deal with this resistance while pushing for inclusive schooling. Mr D Mnguni (ANC) asked if the DBE considered the intellectual capabilities of the learners when deciding on progression. Did they look at progression causing more work for learners and teachers alike, and how they were supporting understaffed schools that had to deal with inclusive education? Regarding the issue of culling, especially in former Model C schools, he wanted to know how the DBE was dealing with it, knowing that schools did not want to be inclusive for fear of losing their 100% pass rate. He said that the oversight visit to Limpopo and Mpumalanga had revealed that SA-SAMS had a lot of programmes for reporting. Was there a way of uniformly reporting on exams? Had any measures been put in place to improve the retrieval system? How was the Department enforcing the usage of the workbooks? Mr D Khosa (ANC) said that according to his knowledge, the class of a teacher who had been to a marking centre performed better. He asked how teachers who were disadvantaged by the performance of their learners would be supported to be on par. The ANA was very good, but needed improvement. He had noticed a drop in performance for each progressive grade, especially when teachers were asked to assess with questions they had not formulated themselves. Ms N Mokoto (ANC) started by acknowledging the DBE’s improvements and learner support. She recalled that at last year’s standardisation meeting, there had been disagreements on the standard of the question papers. She asked how the Department had gone through the process and how they would ensure that they did not face the same problem again. How were they bridging the gap between papers being too easy or too difficult? She wanted to know what the findings from the international benchmarking exercise had been, and how they had influenced how they were setting question papers. Was the DBE addressing the perception that education outside of South Africa was better? She was concerned about psycho-social learner support, as she knew that depression, panic and suicide were prevalent during assessment times. How did the Department ensure that what the teachers had taught in class yielded the results desired by the Department? Lastly, she asked about the plans for the learner-teacher support material for the retrieval system. Mr Mweli said that some of the questions raised would be dealt with in the upcoming presentation. He responded to the psycho-social support concerns, saying he accepted that psycho-social support was not adequate. The DBE had to rely on the Department of Health and so far, it was available only in some schools. The policy that was currently out for public comment included compensating schools that increased retrieval. The policy had allocated responsibility to managers for it to form part of performance agreements. Mr Paddy Padayachee, Chief Director: Financial and Physical Planning, Information and Management Systems, DBE, addressed the language compensation question. He said that in the last exams, it had been reduced by 1% to 4%, and in these exams, it would be 3%. By 2018 there would be no language compensation in examinations. Dr Poliah said that the 50% pass rate requirement for markers was not the only criterion utilised in the selection process. The performance of learners was not based solely on the performance of the teacher, and if it could be demonstrated that the teacher qualified and they had marked previously, they would not be held back where poor performance had been the result of circumstances outside of the teacher’s control. He responded to the Department’s readiness for the 4 September deadline, saying they were directly managing printing for the Free State, North West, Gauteng and Limpopo, and were on track to meet the due date. Trucks were already en route and by 11 September the question papers would be at all schools. Schools in the Malamulele and Roodepoort areas that were unable to write on 15 September would be given an opportunity to either write another time, and/or at an alternative venue. Where the assessment was not written on the same day, the Department would note the number of schools. Mr Poliah explained that the tolerance range and second chance opportunity to qualify as a marker was an approach that was used before authorising markers. He reminded the Committee that marking was not a measurable, objective exercise, but was subjective. Markers who did not comply with the tolerance range the first time were given the opportunity to understand the memo better under a senior marker’s supervision to ensure that deviations were reduced. In reducing irregularities, especially in independent schools where most irregularities occur, only Umalusi credited schools were allowed to administer their own exams with a resident monitor present. An important element to ensure credibility was intensive monitoring. The DBE was using officials and part-time monitors for strict compliance. He said they understand that enrolments were not the most important indicator, so performance indicators would be presented early next year. Categorising of the centres did not cost too much, as the DBE issued self-evaluation tools, and they would do sample audits of centres. Because of the distances in the Northern Cape, it was not possible to deliver question papers every day, so they had to be stored at certain schools. The district departments monitored the schools, and had used them previously for storage. Concerning re-marking, the overall performance was considered. Where performance dropped, there was usually an increase in re-mark requests. Between 20-30% of learners requested re-marking, and the Department monitored the outcome. If there were significant differences, the marker would be called to explain and not reappointed in future. The Department was giving SA-SAMS an opportunity to establish itself. Eight out of nine provinces used SA-SAMS data to compute registration data and to capture marks. Schools not on SA-SAMS had alternative systems, like CEMIS in the Western Cape. The learners in Kuruman had been given the opportunity to write the supplementary examinations and had obtained their results. The translation of questions received annual criticism, especially where Afrikaans was concerned. There did not seem to be an agreed vocabulary -- some words were accepted in one province and not in another. The Department had also done back translations to see the outcome, and had engaged the Western and Northern Cape to assist in looking for competent individuals to assist. Benchmarking and standardisation was done continuously to ensure question papers of appropriate standards were set. There may seem to be differences between the DBE and Umalusi standards but ultimately, all papers were regulated by Umalusi. One knew the standard of a paper only after it had been written. Annually, the DBE takes inputs of schools subject advisors on questions, and the pre-writing exercise seeks to check the paper standard too. Benchmarking had been done in 2008, 2012 and again this year. It was important to note that systems differed. South Africa benchmarked with the best systems in the world -- New South Wales, Cambridge and Scotland. Cambridge had additional school years, and SA was close to their 12th level. Their feedback was that SA was doing well in covering curriculum content, but not enough according to cognitive levels. The detailed reports from the examining bodies were available. The mass copying saga was being addressed, with 22 centres in KwaZulu-Natal (KZN) and 14 in the Eastern Cape (EC) identified. The DBE had finalised 11 hearings in KZN, but others were not finalised because they had engaged lawyers who were finding it difficult to make time for the hearings. By 21 September, the DBE would start final hearings and seven of the 14 centres in the EC would commence hearings. The results would be released when the hearings were concluded. Where the hearings confirmed copying, results would be nullified and the students would be allowed to rewrite the exams. The Chairperson asked what had happened to the teachers who were found to have assisted learners. Mr Mweli said the DBE would complete learner hearings first to get evidence, and use it to charge the teachers. The information had been handed over to legal departments in the provinces to formulate charges, and the teachers were to submit to disciplinary hearings. Mr Mweli turned to the drop of performance in consecutive grades. He agreed that the higher the grade, the lower the performance. The knowledge accumulative gap was apparent and showed an inability to cope with new cognitive demands, so the senior phases had poor performance. This was why the senior phases were the area of focus. He responded to the concern over support for teachers not appointed as markers. He explained that subject advisors shared material and information from their marking experience with the rest of the teachers and increasingly, they got appointed. Succession planning allowed for 5-10% of new appointments year on year. He turned his focus to the usage of workbooks. He said it was improving and it was being monitored in the school monitoring survey. He said the same system of reporting would be used, and one of the DBE chief directors had linked up with the schools in Mpumalanga to assure them that they would sort out the problem. He agreed that culling was still happening in schools, but said that the programme on progressing learners had reduced this substantially, and they were aiming for zero culling. Regarding the language issue, Mr Mweli said he had hoped the Committee would persuade Umalusi against the language policy, but it had been implemented nonetheless. Learners whose first language was not English had firstly to contend with the language and then the cognitive challenge of the subject. This placed them at a disadvantage. He said Ms Lovemore had been spot on with her complaints about the principal, especially those at full service schools. He requested that the Chairperson allow the DBE to present how they had differentiated the curriculum for such students, with vocational education included. They had a package ready to present to show differentiation, starting as early as Grade 4 for learners who were not academically inclined. Mr Mweli pointed out that progressing learners was an international trend. The DBE had learner support programmes to bring these learners up to speed. The curriculum was designed to be as diverse as possible so learners could follow what they preferred. Some interests were abstract while others were practical, and so far the curriculum had not being addressing this. There were over 1 000 technical high schools and schools of skills to address this. The Chairperson said she had observed that the largest number of candidates would write the 2015 NSC, and wondered if it was because of the progressed learners. Why were there such large numbers, and what was the Department doing differently this year? Mr Mweli responded that for the first time this year, each progressed learner would have a profile showing how they had performed from Foundation phase up to Grade 12, including their full details (name, address, etc). The Chairperson said she knew how hard it must be to get such information, and asked how they had received it and if it was accurate. Mr Mweli said they had made a request to all the provinces, and six out of the nine had done well in retrieving the information. Incomplete as it was, it had given them a better picture of learner performances. They had also seen how teachers had gone to the homes of learners to see the conditions they lived in to determine if learning struggles were due to home conditions, or due to cognitive capabilities. They were getting close to understanding and managing the problem. Learners must be encouraged not to write exams they were not ready for, as the system allowed for multiple exit levels. Mid-year exams should be able to guide learners and parents on which route the learner should take. Ms Van der Walt asked that when the ANA results were analysed, apart from learners who did not do well due to academic capabilities, bullying and homophobia should be considered and addressed. Ms Basson had a follow-up question regarding learners not writing exams they could not cope with. She wanted to know how the DBA was supporting full service schools and learners with different capabilities, and what kind of results that school would be given, where learners had not written all the subjects. She said she liked this, because it was accommodating learners according to their abilities. However, the Committee had seen on oversight visits that schools that were classified as full service schools, had been given bad results because of learners who could not complete the syllabus along with others. Mr Mnguni’s concern was about parents demanding that their children be progressed. There had been cases of violent protests where parents had demanded progression, regardless of the child’s performance, attendance, etc. While the system allowed for the progressing of learners in all grades, what was being done with Grade 12 learners who failed numerously? He asked whether the higher education institutions would progress them into the first year. On the matter of allowing learners to write when they were ready, he asked how the performance as a country would be measured, since it was not measured per subject. Ms Lovemore said she was aware that there were international assessments to assess teachers, and suggested the teachers should write the ANA exam as an assessment tool. Mr Mweli said the last assessment on teachers was done in 2007 for Grade Six. The University of KwaZulu-Natal had done one with Grade Five teachers two years ago. The issue was how the results were managed after the teachers had written. If they were used to ridicule, then the teachers were not encouraged to write, but if used for development, then they were encouraging. The DBE branch responsible for teachers had electronic self-assessment tools. Mr Mweli clarified that progression was not approved because of parent demands. Learners were progressed to be at cohort with others. It was detrimental to keep learners at the same level forever. There were sound reasons for doing this, and it was a common international practice. The difference with other countries was that they had strong learner support programmes. South Africa’s were still developing and were not impactful yet. In response to Ms Van der Walt, he said they were analysing the ANA results, and where they found learners had failed for reasons other than academic incapability, they were doing their best to support them. The analysis in December 2014 had revealed that the Grade Nine learners had under-performed because they were at a difficult physiological development stage. Over and above teaching and learning, psycho-social programmes were offered for support. However, there were not enough health practitioners, social workers and psychologists for society, and therefore not enough for schools. The Chairperson wanted to know why there had been a drop in computer studies’ enrolments. Mr Mweli said it was because the subject was not very affordable. It needed the Department to intervene and start building it up. Mr Suren Govender, Chief Director of Curriculum, said they named the presentation “Business Unusual,” because the core business of the DBE was learner performance and the improvement of learner outcomes. This was the first time there had been heightened attention given to progression, throughput and retention. The Department had set targets that the National Development Plan referred to as ambitious, but nonetheless they wanted to address the readiness for assessments holistically. The DBE supported 12.6 million learners and over 12 000 schools. ANA and NSC interventions and support followed the spread of learners across the country and provinces. Rural communities like KZN, EC, and Limpopo had 7.2 million of the 12 million learners supported. From 2002 to 2011, progress had been made in maths and science international benchmarks. The quality of results was measured in the number of bachelor passes for NSC, and from 2009 to 2014 there had been significant movement regarding quality passes. Annual national assessments, and Grades 3, 6 and 9 achievements in home language and mathematics had been graphed. It had revealed that Grade 9 was a problem area, particularly in mathematics. Graphical progress for out of school youth had shown a tremendous drop, from 324 000 learners to 92 000 between 2002 and 2014. Repeaters’ numbers were high between Grades 9 and 11. That was why intervention and support programmes were targeted at those grades. Mr Govender showed the investment pattern since 2011. There was a huge investment into textbook provisions in 2014, as well as top-ups for Learner Teacher Support Material (LTSM) workbooks and textbooks. Workbooks per province had been provided, and the utilisation and impact on results would be monitored. The DBE had the “Mindset” learning channel, 24-hour live TV lessons, a Facebook page and a Twitter account as learner support tools. A large percentage of black learners were accessing “Mindset” on DSTV. The website access had increased in both new visits and returning visits. This showed that the material provided by the DBE was being utilised. In the EC for example, 58 telematics centres were broadcasting eight subjects to 15 000 Grade 12 learners. The website provided for EC was also being used by Cape Town learners. ICT had improved hugely. The National Strategy for Learner Attainment (NSLA) was a tool for learner performance improvements. It had its focus around nine pillars, which spoke to how the Department was preparing and supporting learners for the ANA and NSC. The system was prepared in a way to intensify monitoring in order to know what was going on in the provinces, districts and schools. Quarterly reports were expected from provinces and oversight visits had been intensified. Progress reports based on performance in terms of targets, improvement plans per subject and management systems were also submitted to the DBE. There were many sector initiatives in place. Reading and school library campaigns --1 000 school libraries, “Book Flood” and “Drop All and Read -- were some of them. Early grade reading assessments and a study pilot in 1 000 schools had also started. Together with the British Council, the DBE had developed early reading programmes to deal with reading and language issues. The National Education Collaboration Trust had 415 schools involved in Fresh Start schools. Teacher union programmes and teacher training programmes were provided by Teacher Union collaborations. There were partnerships with Japan, and an own model had been launched this year for mathematics support in Grade 9 named the “1 + 4 model,” which had been adopted by certain provinces. To track performance, pre- and post-tests at various levels were done, also with subject advisors and teachers. He showed examples of the improvements in North West, especially in Grade 9 mathematics due to pre- and post-testing. Mr Govender said the interventions made were subject specific and targeted. There was a development plan per subject to make sure interventions were appropriate for each. The DBE insisted on learner performance tracking for the first time from Grade 10 to 12. Accurate tracking by subject and term by term was done. This enabled them to review intervention plans and establish where support was needed. Winter school programmes specifically for progressed learners were tailor made for their requirements, with pre- and post-tests. The DBE had asked provinces to give information on progressed learners -- subject by subject, where they were from, and their performance since Grade 10 -- so they had statistics available and would know what they were dealing with. He displayed the interventions specific to each programme in each subject. The DBE had intensified the sharing of best practices in 2015. Some best practices were found at the DBE itself, and some were at the provinces. They used the existing formal structures like head sub-committees, ministers, and district director forums for presentations on best practices for progressed learners and under-performance from districts that were doing well. Mr Govender believed that there was sufficient evidence of improvement plans, targeted differentiated support, tracking of learners, innovations, senior phase focus on mathematics, and feedback to ensure readiness for ANA and NSC. When measuring the impact of interventions, they had found that they needed to concentrate on teacher development programmes and pre- and post-test analysis for both teachers and learners. He concluded by saying that the core business of DBE was the improvement of learners, and the ANA and NSC would do that. Mr Mweli added that 2015 had been the most difficult year for the DBE. They had had to contend with an unprecedented number of progressed learners. It had required a great amount of details on what was being done for these learners. He feared that standardisation might not adequately show the efforts that had been made in this regard. With the levels of support, intervention and impact, he was looking forward to seeing the results. Ms Van der Walt said that usually all books and stationary were delivered to schools before the end of the current year. She asked if the Department was on track. She also wanted to know the reason for the decrease in the Eastern Cape budget allowance for textbooks. Ms Lovemore requested an explanation on the expenditure for textbooks. She pointed out that the Free State spent R32 per learner on textbooks, but they had also spent 96% of their budget on personnel and apparently had no money for textbooks. By contrast, Gauteng spent R785 per learner, and the national average was R400. She believed something strange was happening with these figures. Not much had been said on teacher development, and she wanted to know what had happened with teacher training. A study had found that universities were not training teachers adequately and the country did not have enough teachers. She said the 2002 and 2011 maths and science performance comparisons were disingenuous, because one could not compare ANA exams from one year to the next. She did not believe there should be bad teachers in quintile 1 schools, and asked what was being done to address this inequality. She asked how the Department measured achievements or pass rate. She thought the word ‘achievement’ should be removed where the rate was less than 50%. Comparing the NSC and ANA results, she said North West had the highest culling results at 61%. That was why there were low ANA results, but high NSC results. She said she would like to understand provincial interventions and how home schooling evaluations fitted in. She referred to the inclusive education workshops she had attended, where it had been revealed that home school evaluations had nothing on inclusive education. With regards to the number of master trainers, she found it incredible that the three provinces that had 7.2 million of the 12 million learners trained the same number of master trainers as other provinces. She said the pre- and post-assessment of teachers showed that teachers were not achieving the 80% required in the tests. She asked what action was being taken for those who were not achieving the target. Ms Majeke said that some children had not received school books up to now, after the Department had said that all schools books had been delivered. She asked them to conduct random checks at all schools to see if children did have their books. There was a rumour that parents from Model C schools were taking books from government schools, and not buying their own. Without books, children could not be ready for exams. Ms Boshoff pointed out that unqualified teachers were still a problem. Mr Khosa said he welcomed the early grade reading initiatives. He was concerned about the lack of furniture in schools. Some schools were shutting down because of a lack of furniture. He questioned the training of Heads of Departments (HoDs) and Lead Teachers in the Western Cape and Gauteng, and wanted to know why they were lagging behind. Ms Mokoto asked if there were interventions where there was a shortage of teachers, like in two North West secondary schools, where there were no Grade 12 maths teachers. She recalled on the Mpumalanga oversight visit, a principal in a rural school had highlighted the need for teacher training, where the Department could not supply it on time. She asked if the Department could consider spreading the 1 +4 Mathematics programme to other levels and to other schools. The Chairperson said there was a large difference in the average marks in mathematics for quintile 1 versus quintile 5 schools. She asked how much assistance was still needed for the quintile 1 schools to perform better. Secondly, she was concerned about the uptake of maths versus maths literacy. She said not everyone could take maths, but maybe students were being discouraged to take maths. Less than half of the learners in Gauteng were taking maths. What was being done to assist provinces that had a low uptake for pure maths. Mr Mweli said the presentation showed that the DBE was turning the corner. They had set targets for provinces to increase the offerings of mathematics. Some provinces wanted to scrap maths literacy altogether but had been warned against it. The reason for the disproportionate growth of maths literacy was because of the absence of other forms of mathematics, but the DBE was now determined to grow maths. Currently, the school system had mathematics, maths literacy and technical maths. There had been proposals to introduce financial maths, but the DBE was being cautious not to destabilise the curriculum with a lot of changes. Mr Govender said that the Department had sector management plans for 2015 for procurement and delivery processes. They expect all processes to be completed at the end of the current year in preparation for the 2016 academic year. Tracking and monitoring of the plan was by way of quarterly reports and inter-provincial committees. The Department’s commitment was that when schools opened on day one, all books and stationery would be there. The budget allocations in provinces gave guidelines on what needed to be procured. Top-ups varied from province to province -- some provinces had solid retrieval systems and others required more attention. He acknowledged that expenditures per learner for Free State and Gauteng were at two extreme ends of the scale. The budget was dependent on how compensation of employees was structured, and the balance was used for books. To address the teachers’ qualifications, development and provision, there were clear interactions managed by the teacher development branch of the DBE, in collaboration with the Department of Higher Education, that also addressed the content knowledge of teachers and their basic education with regard to language and African languages. It was true that comparing Grades 8 and 9 maths and science performance was not normal, but the figures had been taken directly from the Trends in Maths and Science Studies (TIMSS) report. Referring to the school performances per quintile, he said the country had made investments in disadvantaged areas but it was clear that investments needed to be sustained and enhanced. Equity and access challenges were still there. At quintile 1, there had been achievements, even if not of the required standard. Mr Govender said according to the curriculum and assessment policy, there were seven levels of achievement. The bottom level of ‘not achieved’ was for marks ranging between 0 and 29, elementary achievement was between 30 and 39, and they went right up to outstanding. The way the province had been doing the pre- and post-testing of teachers had been with a developmental aim, so those who had not achieved 80% followed a developmental process and not a disciplinary process. The DBE was aware of the inadequate number of teachers for mathematics and science. They also had foreign teachers employed on a temporary basis, but the issue was being addressed. He said that the maths and science training and the Maths 1 + 4 programme had been adopted in response to a challenge. He acknowledged that the maths and science problem was not only in Grade 9. Implementing the programme in 2015 would not only show where it needed to be strengthened, but also where it could be expanded to. Mr Mweli expanded on the 1 + 4 programme. He said that for 2015, the focus was on Grade 9, as it was a smaller population from which to draw lessons. From 2016, they would start with Grades 9, 8 and 7. He acknowledged that there was a shortage of maths teachers, and they were now depending on foreign teachers, who were doing an exceptional job. The nature of the contracts offered to these teachers needed urgent attention. They were kept on a 12-month contract and remained nomadic in the system. Home Affairs needed to be contacted because the 12-month contracts were not working. The DBE needed to find new ways to deal with this issue. Unavailability of furniture was a problem. He was worried that some services that should be provided by the provincial departments were being directed to the DBE, which was the main cause for unclean audit reports. Some provinces were not spending their budgets because of this. The DBE was aware that some learners had not been given books delivered to the schools. Monitors had been sent out to see if the books were received. The DBE would find out what the reasons for the exclusion of inclusive education in home school assessments were, and intervene if necessary. Mr Mweli said the issue of “drop outs” existed in all nine provinces. Some provinces registered progressed learners for the senior certificates, which then get endorsed where learners should be in schools for special needs. Other provinces were redirecting learners to write as special needs pupils. Deviant behaviour was prevalent, and the Department would deal with issues such as culling and redirecting. He listened to the criticism in higher education circles about the quality of teachers, and asked himself why no-one was saying that it was these same institutions that were providing the teachers that prepared the learners. The quality of output of universities ranged from world class to mediocre. He thought it was best for all involved to work together. He appreciated the initiative of the Portfolio Committee when they called all bodies together to address problems. They needed more of this. They would investigate the gaps in training. Mr Padayachee said the issue with the furniture had been looked into as part of the audit. The aim was to provide furniture not only for the assessment period, but for the whole school year. They had an emergency programme to assist with this matter. They had found that some schools preferred single desks for exams, where the Department had provided double desks. There needed to be creativity in how best to utilise the desks. They had a challenge of backlogs in the EC and Limpopo, which was where the focus was. The Chairperson said she saw how huge the task was, but believed the DBE was equal to the task. The Chairperson apologised to Ms Lovemore for taking so long to reply to the petition. The Committee had been made aware only two weeks ago. Ms Lovemore said that the petition was about concerns over the quality of education received by learners in the Graaff-Reinet area. It had been submitted according to the Parliamentary rules on 20 November 2014. The rules required that for a petition to be considered by the National Assembly, it must be submitted via a Member of the National Assembly, which in this case was Ms Lovemore. She had accepted it from the Reverend Nancy Chartern, of Graaff-Reinet, who was 95 years old. On Saturday, she said she had prayed to the Lord to keep her alive to see the petition going forward. Shortage of teachers and high vacancy rates in schools. Inability of the district office to respond to their challenges. Lack of provision for children with special educational needs. Lack of pre-schooling for children with special educational needs. High level of foetal alcohol syndrome in the area. Negative effects of the automatic promotion of children without allowing them to absorb learning. Those suffering from the effects of being the children of the poor. Rev Chartern and her fellow petitioners had placed their faith in the National Assembly to consider their plea and to determine what would best alleviate the plight of the children in the Graaff-Reinet area. The DBE had responded, and Ms Lovemore said she was personally satisfied with the response as a good start, but it was up to the Committee and the petitioners to make the decisions. The Chairperson said the Department would respond, and the Committee would write a report. Mr Mweli said they were also prepared to work with Eastern Cape Education Department and petitioners, to ensure that all the issues were addressed. Mr Phillip Tshabalala, Director: District Coordinator, said the DBE’s response had five points. He said that Graaff-Reinet was predominately an Afrikaans-speaking area, and since 2013 a large number of teacher resignations had been experienced. Teachers were resigning to access their pensions and then reapplying, and this had an affected the teacher supply. They had met with the provincial Department to deal with the issue. Teacher vacancies in the province were about 577. They had discussed how best to address this, including the 33 vacancies in Graaff-Reinet. Little progress had been made, with only three posts filled permanently. Authorisation for compensation was the main problem for the delay. The provincial department had taken it up with the provincial treasury, and they were looking at expediting the matter. Lack of provision for children with special needs had led the province to focus their support and intervention on special schools, and little support to full service schools had been given. A primary school in the area had been declared as a full service school, and a workshop had been conducted for the staff. The district office had provided three days of training for mainstream schools, five of which were from Graaff-Reinet, which focused on teaching in an inclusive class room and recognising barriers to learning, to assist these learners. The training programme was accredited by the Council of Educators. The University of Johannesburg had been approached for the training of 120 teachers in remedial education from 2016 in a two-year online programme. Three more primary schools/pre-schools had been opened to address the lack of pre-schools in the area. Foetal alcohol syndrome had not been included in the list of learners with various disabilities. The Department did not know why it had been excluded -- it could be that identification had not been done. Qualified specialists would be sent to the schools to identify and assist the learners. Regarding the progression issue, the district was implementing the policy of promotions as prescribed. The Department was looking at educating parents on what was happening and why it was happening. Mr Tshabalala said they would still go into finer details of plans and implementations to address the petitioners’ concerns. 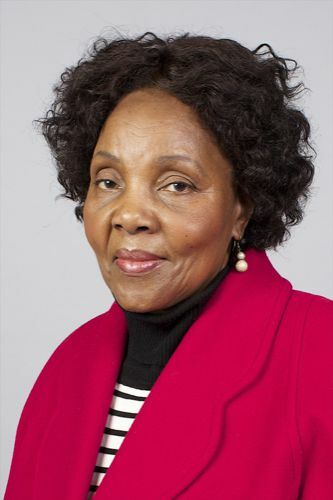 The chairperson announced the passing of one of the MECs for Education in the Northern Cape. Details of the funeral would be communicated. With regard to all the issues regarding schools that had been prevalent in the media, like the schools in North West and Roodepoort, she said full reports and follow up reports had been requested from the provincial MECs.